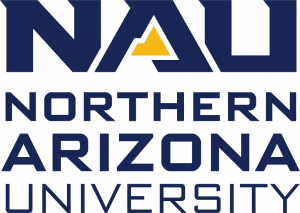 The Department of Sociology at Northern Arizona University invites applicants for two Lecturers of Sociology, which are nine-month, non-tenure track positions. These positions are one academic year appointments with the potential for renewal beyond 2019-2020, contingent upon effective performance, program needs and continued availability of funding. This position is not eligible for sponsorship, now or in the future. Successful candidates will have experience and success working with underrepresented groups and show a commitment to diversity. Candidates with a demonstrated commitment supportive of the unique populations of Northern Arizona University are strongly desired. Responsibilities include teaching four (4) undergraduate courses per semester in addition to engaging in service activities at the department, college, and/or university levels. Candidates should demonstrate a commitment to student success, experience teaching in various modalities including in-person, blended learning, and/or online, and an ability to teach lower-division courses and across the curriculum for the undergraduate degree program. This includes the potential for community engagement through internships. Evidence of success working with underrepresented groups in an engaging, civil, and respectful campus climate. To obtain more information or to submit your resume you can contact Caleb Buum c/o Delfina Rodriguez as shown below. If you apply for this position, please say you saw it first on www.AcademicCareers.com. Thank you.